Without slashing the original size of the Annual Development Programme (ADP) for fiscal 2016-17, the National Economic Council (NEC) today approved a revised ADP of Taka 1,10,700 crore, reports BSS. The focus continues to be on projects in transport sector. In the revised ADP, the government increased its allocation to Taka 77,700 from Taka 70,700 crore of the original ADP as the Prime Minister increased the allocation by Taka 6,500 against the planning commission’s proposed allocation Taka 71,200 crore. The approval came at a meeting of the highest policy making body of the economic affairs held at the NEC conference room in city’s Sher-e-Bangla Nagar with Prime Minister Sheikh Hasina in the chair. 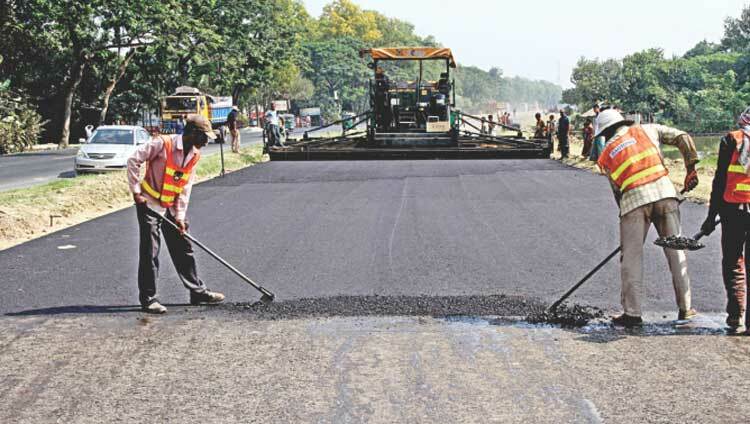 “Planning commission has proposed the revised ADP of Taka 71,200 crore but Prime Minister Sheikh Hasina allocated additional Taka 6,500 crore to maintain investment trend for higher economic growth”, Planning Minister A H M Mustafa Kamal said while briefing journalists about the outcome of the meeting at the NEC. He said the additional amount will be allocated as per the demand of different ministries and implementing agencies. The meeting reduced the foreign assistance to Taka 33,000 crore from the original ADP’s Taka 40,000 crore. It also reduced the allocation by the implementing agencies to Taka 8,595.97 crore from Taka 12,645.80 crore. Now the size of the overall revised ADP has stood at Taka 1,19,295.97 crore, Kamal said. The minister said allocation for the revised ADP was always slashed in the past but the government did not cut the allocation for the first time this fiscal year. The rate of implementation of the ADP is satisfactory as Taka 40,000 crore has so far been spent, he added. About the Padma Bridge, Kamal said the allocation for this ‘special priority project’ would be what the authorities would spend for the construction purposes in the current fiscal year.